Typhoid Vaccine – All You Should Be Aware Of! fewer medical facilities and contaminated surroundings. Typhoid causes high fever, nausea, fatigue, body ache, weakness, stomach ache, headache, rash and loss of appetite. 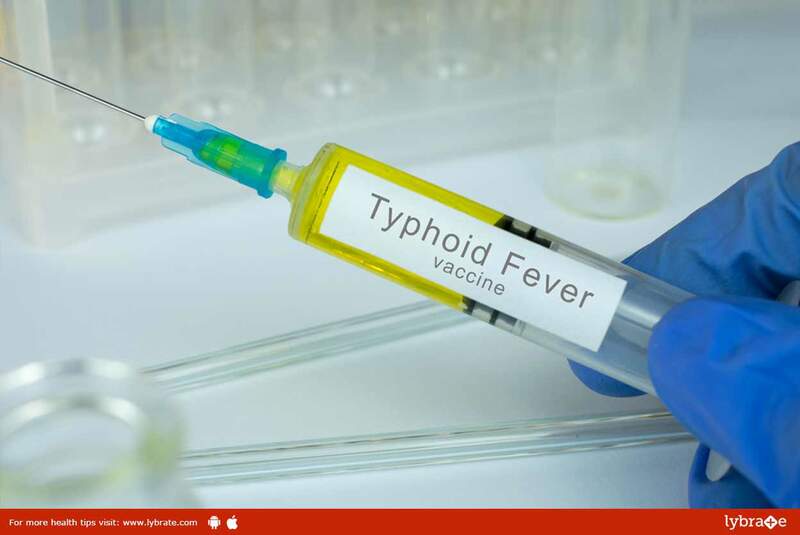 Though there are many treatments in modern medicine that are able to cure this disease, there are vaccines to prevent the spread of Typhoid in the first place. There are two types of Typhoid vaccines that can prevent people from ever having contact with them. ● This vaccine is given with the help of an injection (shot), this is generally given to people who are constantly travelling to parts of the world where they can fall victim to this disease. ● The shot should be taken at least 2 weeks before traveling. ● Injection to be taken every 3 yearly as efficusy last for 3 year. ● The effect of a single shot lasts for at least two years, after which the person should get a new shot. ● This vaccine should only be taken by adults and children who are above 2 years old. ● This type of vaccination is less invasive as compared to the inactive one because a capsule is used instead of an injection. ● However, guidelines should be followed for taking this vaccine properly. ● One should take this vaccine every alternative day for 1 week, 3 hours before having dinner. That means the vaccine should be taken on Monday-Wednesday-Friday-Sunday. ● One should remember to never chew the capsule, it is to be only taken with warm water (not dissolved). ● Oral dose to be taken alternate day total 4 capsule. ● A booster is needed for people who are taking live vaccinations, this booster should be taken every five years to maintain the effect of the vaccine in the body. Typhoid is a deadly disease, but it is preventable with the help of vaccination. One main thing to remember is that vaccine is useful only when it is taken before contacting this disease. If someone has already contacted Typhoid, then the vaccine won’t work in that scenario. Remember to always consult a doctor before getting any vaccine. ← What Factors Need To Be Considered before Opting For Liposuction?